For recipients who are looking for a more discreet and portable solution to remote access, Cochlear’s CR210 Remote control offers handheld convenience that is perfect for a busy lifestyle. Small enough to fit in your pocket or hang off your keychain unobtrusively, the CR210 Remote Control lets you make simple adjustments to your processor—like using telecoil or adjusting volume/sensitivity—on the go and out of sight. It can also change programs, turn audio accessories on and off, and display your current settings. 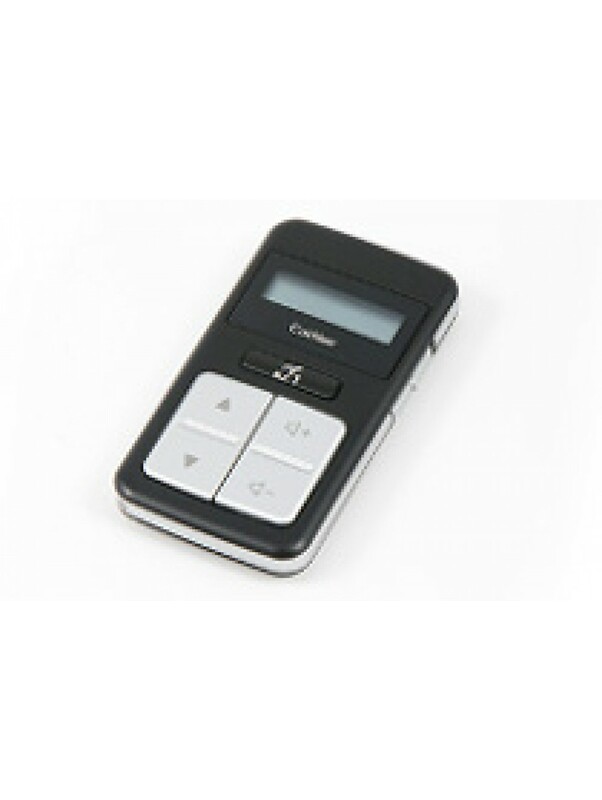 An easy five-step pairing process, powerful three-month battery life*, and small screen are added conveniences to an already convenient accessory, rendering the CR210 Remote Control one of Cochlear’s smallest and handiest devices. *The maximum lifespan of each battery (only use disposable CR2032 or 5004LC 3V standard lithium coin cell batteries) is calculated based off of conservative estimates over the use of the Remote Control (about 15 times a day and turned off when not in use).